Monrovia – Sime Darby has put up its oil plantation in Liberia on sale after failing to acquire all 220,000 hectares of land the government promised it as stated in a concession agreement signed about a decade ago. The company is listed as SIME.KL on the Kuala Lumpur stock exchange and has several investments across the world including palm oil plantation in Liberia. The move to sell out its investment in Liberia has created pessimism about the Malaysian trading conglomerate profitability in the west Africa nation. The country is also struggling to recover from its economic woes since the end of the Ebola outbreak. Insiders within the company say the decision is based on the Liberian government’s failure to meet “a very important side of the bargain”. 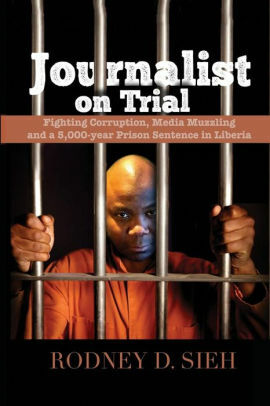 The concession, as per the agreement signed with the Government of Liberia in July 2009, is for a period of 65 years. The gross concession area consists of 220,000 hectares of land for the concession area and an additional 44,000 hectares of land for the implementation of the out growers’ program. Nearly 10 years have gone since the concession agreement was signed but the company is still struggling to operate. The firm pays US$1.25 as surface fees or rent per hectare of land within the developed areas during each year of the term of the contracts. According to the agreement, the surface rental fees are payable to the Liberian government annually in advance, on or before January 15th of each year. But the company is unable to possess all the 220,000 tract of land the government agreed to give it as stated in the agreement. Currently, the company only occupies 10,500 hectares after pouring huge capital in the construction of a palm oil processing mill. Since it began operating in the country, the company has paid over US$2 million in crops compensation to citizens in the concession area because these communities insist the land does not belong to the government. “The main issues hampering the company include lack of encumbrance free land for expansion. With just 10,500 hectares planted and high palm oil processing mill constructed, the company will find it very difficult to remain in business,” said one senior staff of the company. High cost of CSR, small land area planted and high cost of operations continue to drive the company into huge losses which might not be overcome any time soon, the source added. Unlike the land issue, the company is also worried that the existence of private oil palm mill is troubling, threatening its investment and it’s a violation of Section 5.4 of the 2009 agreement. Theft of its produce also continue to increase by the day. The concession states that the government “shall not grant any license to any third parties to construct or to operate” mill within 60 kilometers of the border of the concession area but there are many mills operating in the area. There are no specific provisions in the concession agreement regarding the selling of the company’s investment to another, however; selling out a company is a complicated process and if it goes through, the new owners will have to come out with their own plan to run the company in order to remain profitable. Sources say the government is unaware about the company’s plan to sell out its investment in the country. And it wouldn’t make its plan known until it finds a buyer. However, one economist who spoke to FPA said it is not against any international business best practice for a company to sell out in part or all of its shares or interest in an investment within a specific country. Decisions on how to run the company will now be left with the new owners, but a lot of discussions have to take place before the issue of sale of the company becomes possible. Schools being run by the company, communities activities such as hand pumps, latrines, providing drugs to clinic may all may experience obstacles. A senior employee told FrontPageAfrica that a ” to sell out will be of grave consequences to Bomi, Grand Cape Mount Counties” and economic activities in that part of the country where the company operates will feel the pinch. 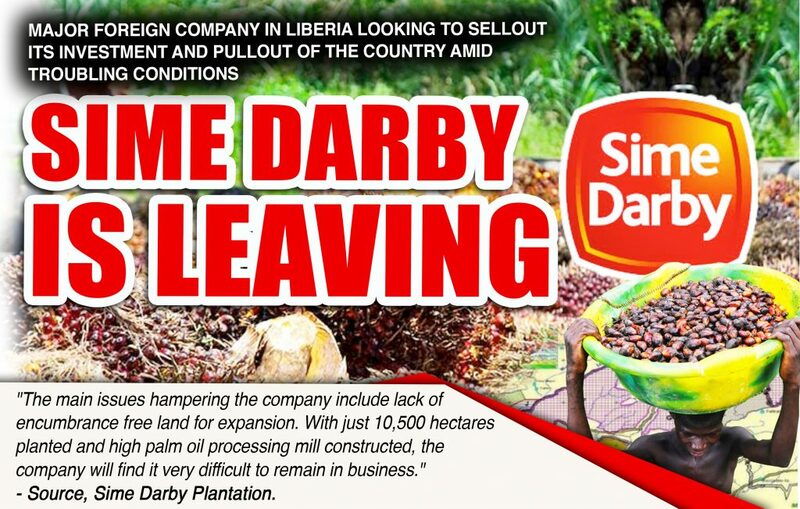 Sime Darby currently has 2,000 employees excluding a large number of contractors, while local contractors are providing jobs for hundreds of Liberians who are carrying out harvesting, brushing and other unskilled work on the plantation. Meanwhile, FPA has also gathered that the company is now planning to lay off several employees in the coming months in order to minimize its huge wage bill.